It is best for children to have an orthodontic consultation at age 7 to find out if orthodontic treatment is required, and when would be the best time for treatment to begin. The first permanent molars and incisors have usually come in by that time and crossbites, crowding, and other problems can be evaluated. When orthodontic treatment is started at an early age, our 89117 orthodontist Dr. Nguyen can guide the growth of the jaw, and the incoming permanent teeth. Early treatment can also regulate the width of the upper and lower dental arches, gain space for permanent teeth, avoid the need for permanent tooth extractions, reduce likelihood of impacted permanent teeth, correct thumb-sucking, and eliminate abnormal swallowing or speech problems. In other words, early treatment can simplify later treatment. Orthodontic treatment can be successful at any age, and adults especially appreciate the benefits of a beautiful smile. One of every five patients in orthodontic treatment is over 21 years old. 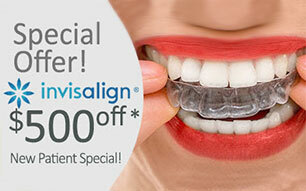 It is never too late for your first visit with our orthodontist 89117 to achieve the smile you’ve always wanted!